Asked if human software engineers have outpaced natural evolution, Gerstein said the opposite was true. The computer model may be so extreme that it can’t be scaled to biological levels of complexity. 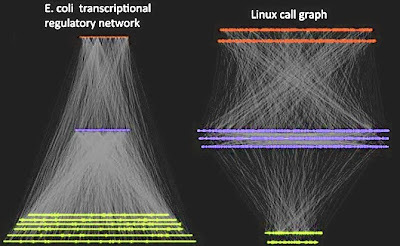 “You can easily see why software systems might be fragile, and biological systems robust. 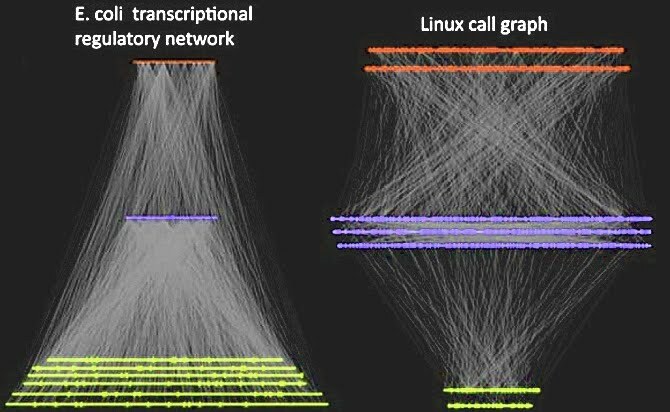 Biological networks are built to adapt to random changes. They’re lessons on how to construct something that can change and evolve,” said Gerstein.